Clive W.J. Granger, one of the globe’s leading economists, Nobel Prize-winning econometrician, and research professor and professor emeritus at the University of California, San Diego, died May 27 in San Diego. He was 74. In 2003 Granger was awarded the Nobel Prize in Economics. In bestowing this honor, the Royal Swedish Academy of Sciences recognized that Clive Granger (and co-winner, long-time UC San Diego colleague Robert Engle) had made fundamental discoveries in the analysis of time series data, that is, collections of data over time such as stock prices each day or national income each year. This work quite literally revolutionized the way economists analyze financial and macroeconomic data. 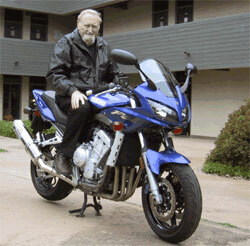 Clive Granger was a much beloved member of the UCSD department of economics. 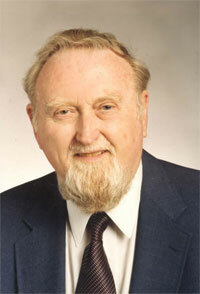 Granger’s contributions to the theory and practice of time series analysis stretched over nearly four decades. He was one of the world’s leading figures in research in this field and he had a reputation as one of the most prominent econometricians in the world. His work is widely cited, and his contributions are used in both academic and non-academic settings. His research on forecasting, causality and co-integration has introduced tools used by every empirical economist and also employed in the fields of biology, engineering and statistics. His fundamental contribution was to show economists and others that mere correlations between two variables that changed over time, such as national income and money supply, need not indicate a causal relation. He introduced methods that led to far more sophisticated and trustworthy analysis of variables such as these that change over time. Granger also had a deep interest in applying the tools of econometrics to real-world data. For example in 1975 using his econometrician’s tools he participated in a US Bureau of Census committee on seasonal adjustment. In later years, Granger also used the time series methods on a project concerned with the Amazon Rainforest and built a model to forecast deforestation. At UCSD Granger built up the econometrics group which has now for many years been ranked as among the very top in the nation. Granger received numerous other honors. In 2002, he was named a corresponding fellow of the British Academy and a distinguished fellow of the American Economics Association, an honor given to only one member of the profession annually. In 2004 he was inducted into the Order of Knight Bachelor by Her Majesty Queen Elizabeth II of England. Granger held several honorary doctoral degrees, was a fellow of the American Academy of Arts and Sciences, the Econometric Society, and served a term as president of the Western Economic Association. In 2004, Granger was voted into a list of 100 Welsh Heroes. Granger was born in Wales, United Kingdom in 1934. He earned his Ph.D at the University of Nottingham and, in 1974, came to UC San Diego, where he remained in the Department of Economics until his death. Granger is survived by his wife, Patricia, son, Mark and daughter, Claire. A memorial service will be held at UC San Diego; details to follow and to be announced at http://economics.ucsd.edu. In lieu of flowers, the family suggests donations in his memory be made to the “Clive Granger Memorial Fund.” Checks payable to the UC San Diego Foundation (with “Clive Granger Memorial Fund” in the memo) can be sent to Social Sciences Development, University of California, San Diego, 9500 Gilman Drive #0502, La Jolla, CA 92093-0502. Donations also can be made online at http://www.givetoucsd.ucsd.edu; please indicate “Clive Granger Memorial Fund” just above the contact information section on the Gifts Designation webpage.